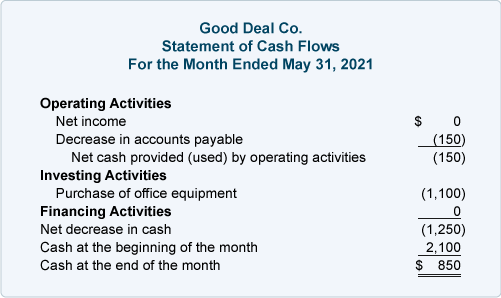 On May 30 Good Deal pays its accounts payable of $150. On May 31 Good Deal purchases office equipment (a new computer and printer) that will be used exclusively in the business. The cost of the office equipment is $1,100 and is paid for in cash. The equipment is put into service on May 31. There were no other transactions in May. The operating activities section starts with the net income of $300 for the five-month period. The increase in Inventory is not good for cash, as shown by the negative $200. Similarly, the increase in Supplies is not good for cash and it is reported as a negative $150. 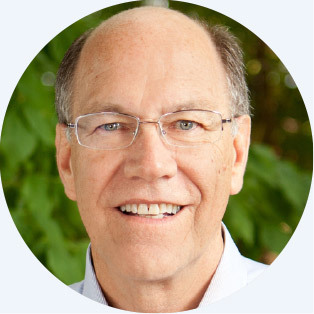 Combining the amounts, the net change in cash that is explained by operating activities is a negative $50. The increase in long-term assets is reported under investing activities. There were no changes in long-term liabilities. There was a change in owner's equity since December 31, and as a result the financing activities section of the cash flow statement reports the owner's investment into the Good Deal Co. 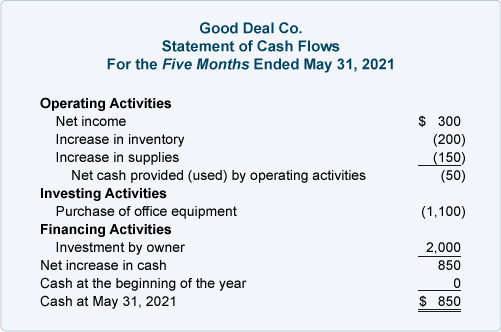 Combining the operating, investing, and financing activities, the statement of cash flows reports an increase in cash of $850. 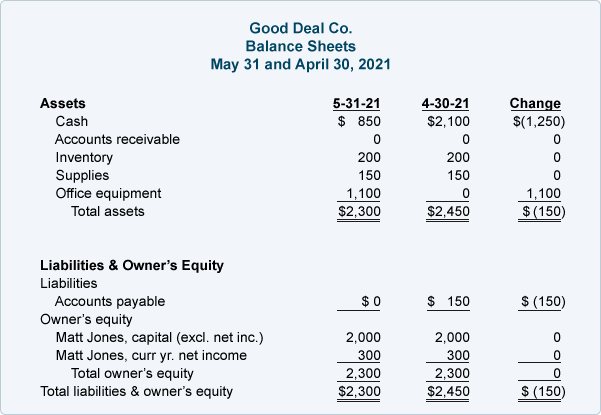 This agrees with the change in the Cash account as shown on the balance sheets from December 31, 2017 (or January 1, 2018) and May 31, 2018. 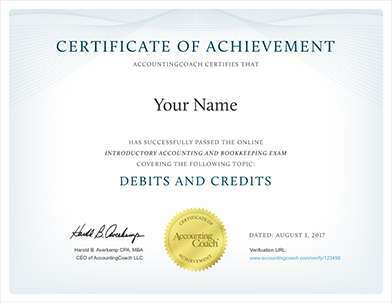 Whether you are a business person or student of business, our Master Set of 87 Business Forms will assist you in preparing financial statements, financial ratios, break-even calculations, depreciation, standard cost variances, and more.